Every year I pick my favorite 10 photos of the year and share them with people. I like to share what I was thinking and the process if the photo was unique. I can honestly say that this was the hardest year to only pick 10 photos, and I wish I could write something about every photo I took last year. I had an incredible year creatively and I can’t thank my clients enough. For me, my top photos has nothing to do with likes or comments but the images that have either pushed me creatively or that make me feel calm within the chaos. These aren’t in any specific order by the way. This is the image that started my creative boost in 2018. I went into the shoot knowing I wanted to make something like this when we went to Brooklyn. I ended up making this in photoshop, but I think I could have done it in camera had I had my longer lenses with me. 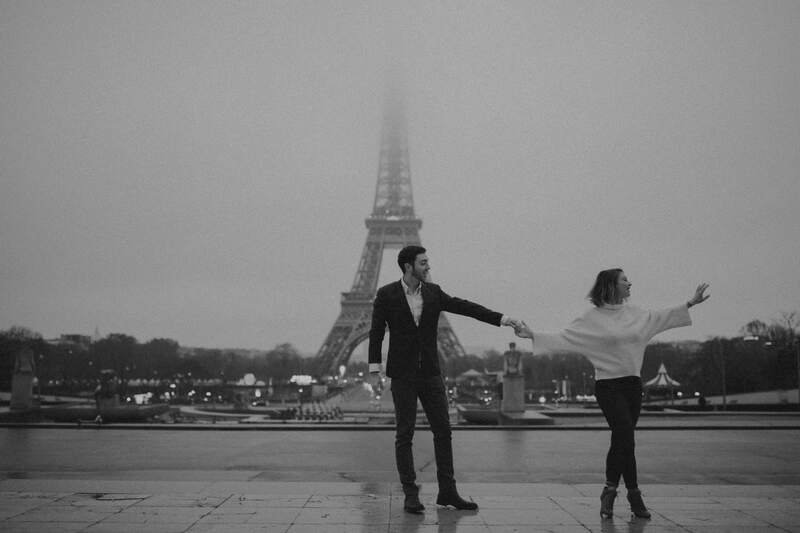 This photo also placed in Junebug Weddings Best of the Best Engagement Photos in 2018. This is one of my favorites for obvious reasons. 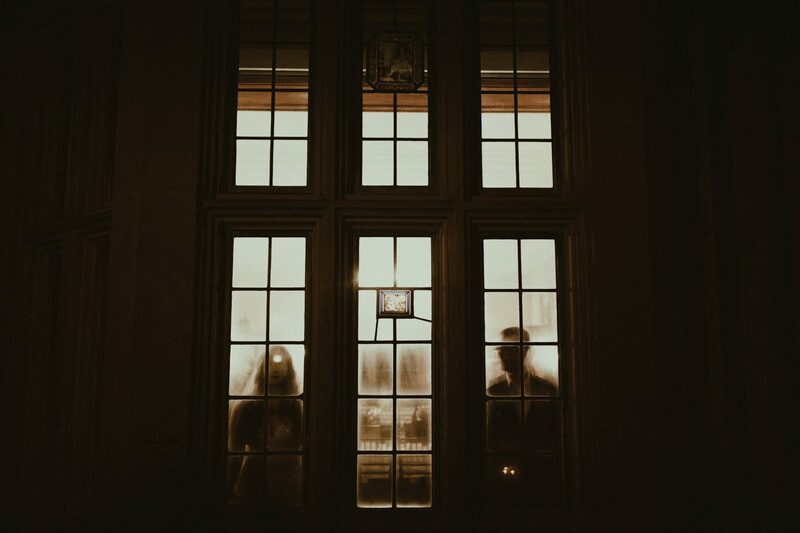 I originally wanted to have them in an upstairs window, but after the sparkler exit we noticed how great the windows in the reception hall looked. This turned out so much better than I anticipated. I also love that it looks like Kali has a ‘third eye’. I honestly don’t know what caused the orb on her forehead and I considered taking it out but I love it how it is. Give me all of the creepy and ghostly old mansion vibes any day of the week. I love these humans and I love this light. 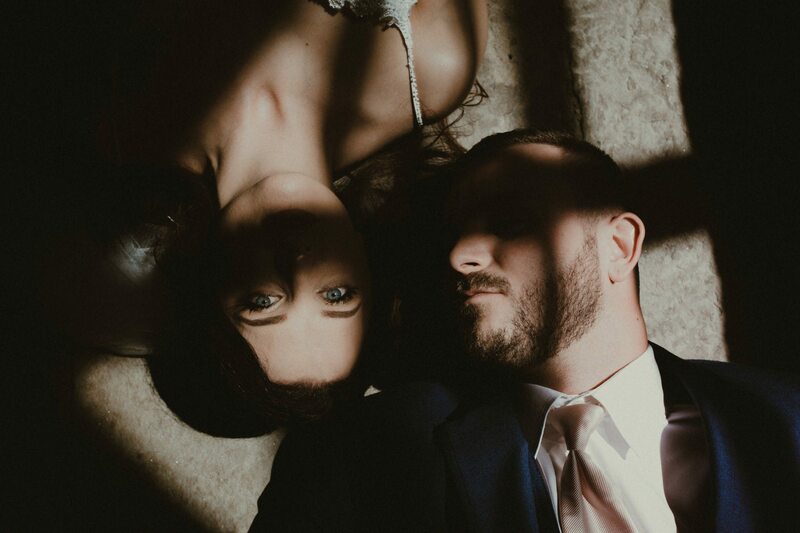 I love working with weird mismatched light and I love when clients will lay on dirty floors before their ceremony to get the shot. After we did their first look I noticed that the windows in the chapel were casting these really cool blocks of light on the floor, and asked if they’d be willing to get down on it. They’re both such gems. If I’m shooting for fun I use my tilt shift a bit more. I drove out to Oregon from Idaho with Kyndall and Dan and we met up with Savanna and Kyler to shoot on the beaches there. The day was so much fun, and it was soooo nice not to have any pressure on us to make “epic” images. 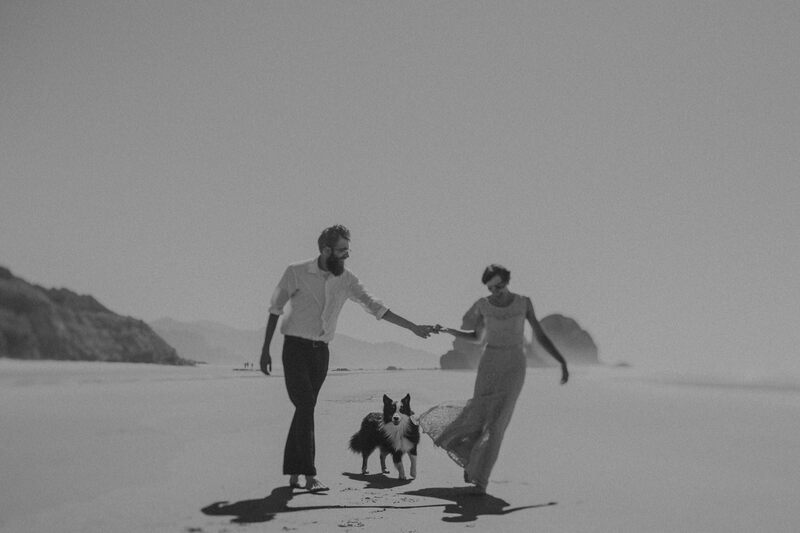 They were just walking towards us on the beach and their pup was perfectly centered under them, and I do love a good pup photo. I was second shooting for Dan in Chicago when he let me take the reigns on posing and went to get us coffee and a cookie. 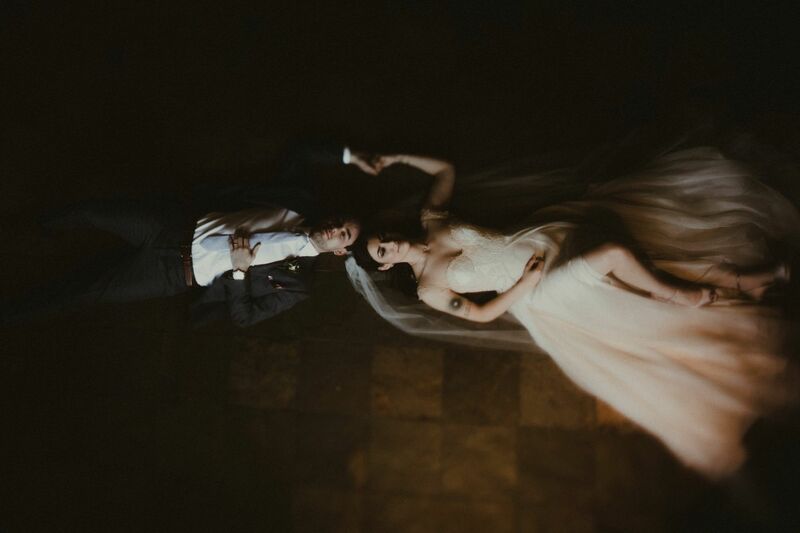 We had been shooting on the second floor (it was all open to look down on the floor below) and I knew I wanted to have them lay on the ground if they were up for it. Thankfully they were. This image was included in my submission to the Rangefinder Rising 30 as well. Chan and Kevin have TWO photos on this list. 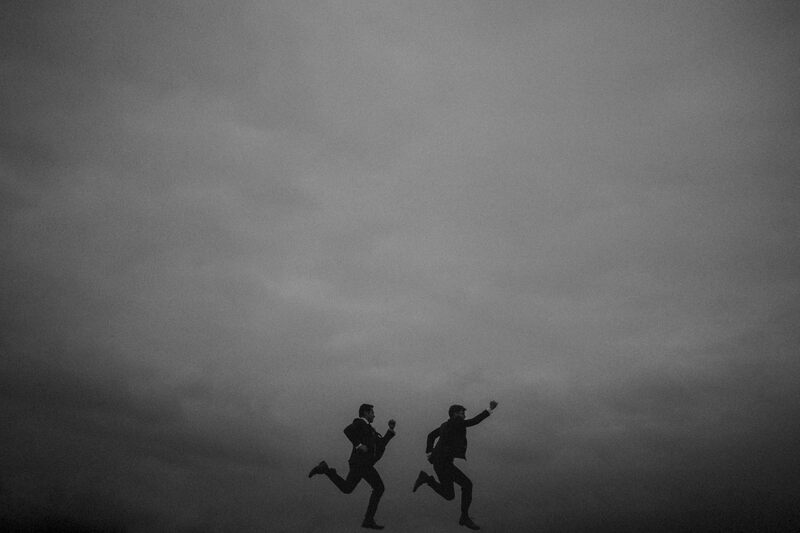 I had tried a cool sky jumping photo a couple of times, but finally nailed it at their wedding. They were perfectly in sync with this and I may or may not have squealed when I got home and saw the photo. This image also placed in the 2018 Junebug Wedding Contest. There’s nothing quite like these two, and nothing quite like Yosemite. We woke up before sunrise and drove the hour into the park to get to Glacier Point. It was a magical experience to witness the sunrise there. I never expected Yosemite to be… real. It just always seemed so big and untouchable. I can’t wait to get back out there, and this time I’ll take better shoes. I just love how composed Kate looks in this photo. Moments before she had almost lost her veil to the wind, which is why her Dad is holding onto it. The bride stepping up to the aisle is always one of my favorite photos at a wedding. Even if they had a first look there’s still this nervous energy around this moment with everyone watching, and I think this image captures the calm before the ceremony. I met Stephanie at the first Ramble in Arizona and ended up flying out to Vegas in November to do family photos for her. I ended up taking a couple of photos of just her and Seth throughout the day as well. 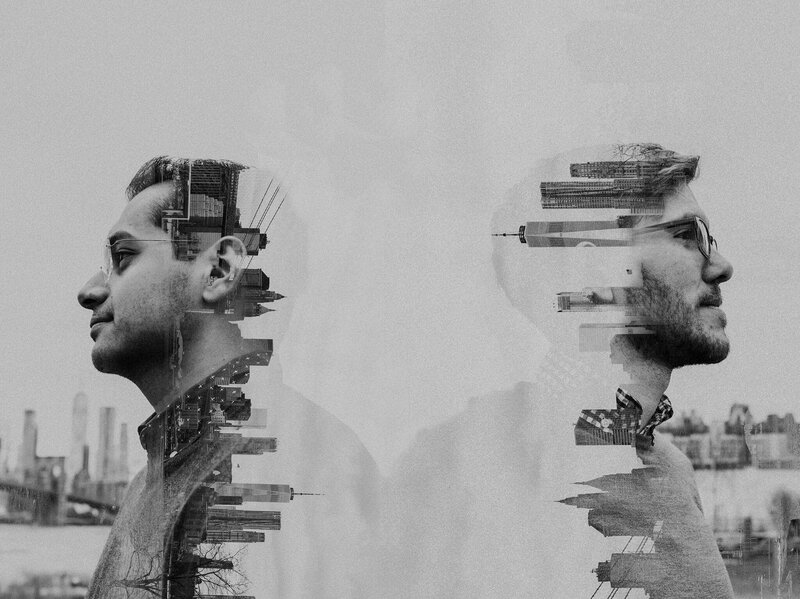 I had made an in camera double exposure, and while I liked it, It was missing something. When I got home I started playing with multiple images and ended up with this. This image was the gateway to some of my more elaborate composites and it’s so excited just playing with images to make something unique. I ended my year in Paris, because I wanted to give myself a boost for the new year. My flight into Paris had been delayed for thick fog so I was really hoping to have a foggy morning for one of my sessions. I’ve been to the Eiffel Tower multiple times and I think this is the most beautiful I had ever seen it. It feels serene and calm and every thing I want to capture in my images in the coming years.